Last May 13, 2014, a day before our summer classes ended, the Thomasian Interior Design Senior students visited Wilcon Depot and I must say, it was such a blast and it was definitely one inspiring trip! 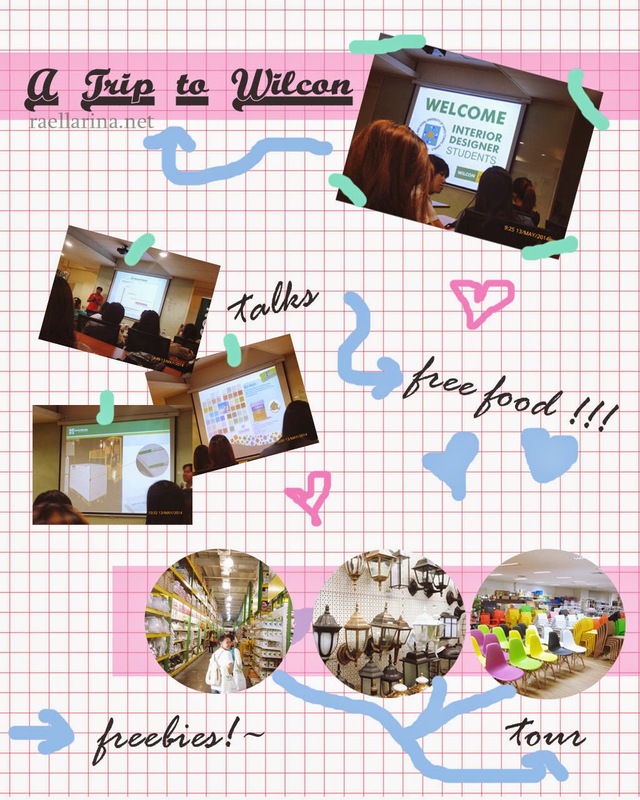 Talks (Seminars) + Free food + Wilcon Tour + Freebies! WARNING: Heavy photos awaits you after the cut. So the photos will probably do much of the talking. I admire your versatility(all these different things) and your fun spirit! Wow, this must have been really interesting! love the lamps <3 !! !